Stunning scenery, fabulous food, the world’s greatest art, charming and welcoming people, Italy has the lot! From the beautiful lakes of the north to the warmth and southern passion of Sicily. But if you can’t decide where to buy a holiday home in Italy, the choice can be bewildering. 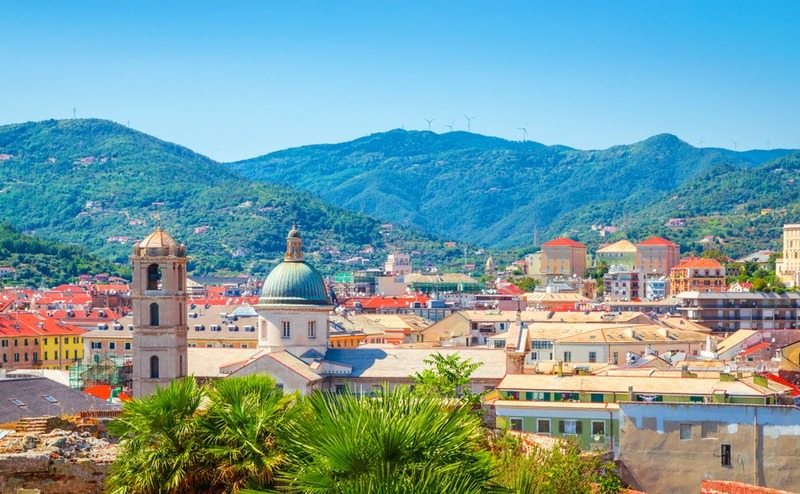 With over 7,000 kilometres of coastline, and annual sunshine hours ranging from 1,800 in the north up to 2,500 in the south (compared to around 1,300 in the UK) and international flights to over 24 Italian airports, there are plenty of locations to choose from. Here are 10 of my favourite places to own a holiday home in Italy. If you’re heading here on holiday this summer, maybe take a holiday home back with you! Italy offers beautiful scenery, fabulous food, historic artworks and charming people that welcome you to join in with their cultural events. Having your own apartment in Florence offers the opportunity to live like a local during your holiday and get to know all the best places to buy fresh produce to prepare meals in your own equipped kitchen. Have you heard the ‘barrocci’ shouting to sell their fruit and vegetables outside the Sant’ Ambrogio Market or bought cheese and cured meat from inside? Your apartment may even have a roof terrace or balcony with beautiful views across the red roof tops, where you can escape the bustle of the streets with a glass of wine. Being right in the city you can beat the day trippers and enjoy all the Renaissance treasures without the crowds. On a week day you can be one of the first through the door of the Uffizi gallery, Pitti Palace, Duomo and Galleria dell’Accademia. There is so much to admire, you need numerous holidays here to be able to see everything. You can also arrange your visits to coincide with the many events throughout the year, such as the towns Saint’s day on 24th June, which includes processions, boat races and fireworks. Holiday home prices: One-bedroom city apartments from €200,000. Detached 3-bedroom houses in the surrounding area from €450,000. Getting here: Arrive at Florence central train station in about 70 mins by coach or train from Pisa airport and 20 mins coach from Florence airport. Driving a hire car from Pisa takes about 1hr 30mins. Ryanair, Easyjet and BA fly to Pisa. 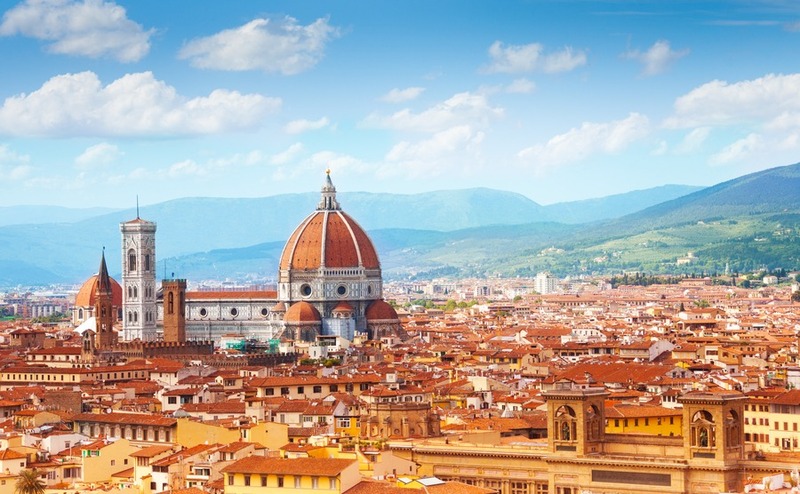 BA also fly London City to Florence and Vueling fly from Gatwick. One of Italy’s most popular holiday destinations for breath taking views and enjoying the great outdoors, has to be the Italian Lakes. There is a great selection of villas, houses, and apartments on offer, from lake side luxury to hillside stone houses with panoramic views. 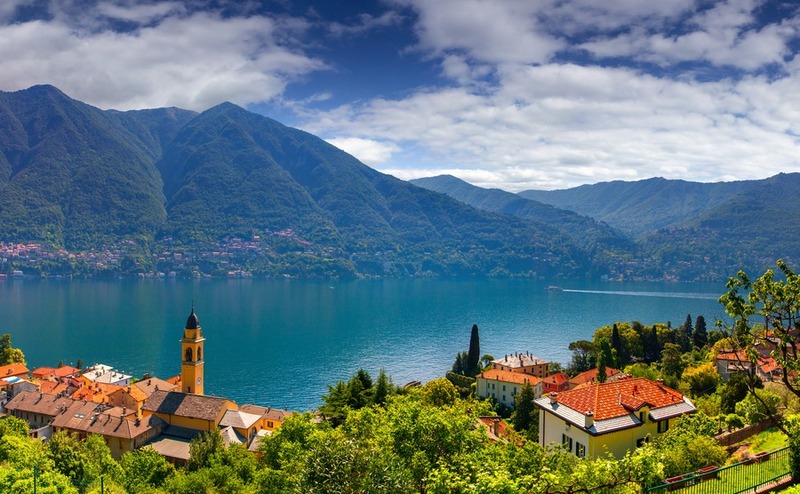 Lakes Como, Garda, and Maggiore are the most popular, but whichever you choose you will find stunning scenery and incredible outdoor activities. Water sports, cycling, hiking and tennis are among the most popular pursuits and there are a number of good golf courses and ski resorts within easy reach. The Lakes are easily accessible by air and have a year-round appeal for holiday homebuyers. You could even combine a shopping trip to Milan on the way to your Lakeside home. Lake Como is very fashionable, well who wouldn’t want George and Amal Clooney as neighbours? Maggiore is elegant and similarly priced, while Garda is great for outdoor activities. Iseo and Orta are less well known so you might pick up a bargain here. Holiday home prices: One-bedroom lake view apartments from €80,000 Detached houses from €108,000. Getting here: Milan Bergamo Airport and Verona serve the Lakes and towns in the area. Milan Malpensa Airport is less than 2 hours by car from Lake Como, taxi companies quote 1hr 20 mins and it’s about an hour by train with a change at Saronna. Ryanair, FLYbe, easyJet and BA fly to Malpensa Airport. This pretty whitewashed hill top town offers quaint little streets to explore with many quality restaurants, bars and gift shops. Throughout the year there are various cultural events and live music. Apartments in the historic part of town with views to the sea are most convenient for enjoying the evening entertainment. Although lacking parking facilities you have plenty of restaurants and bars on your doorstep. The coast is just 10 minutes’ drive away and can be reached by bus. The countryside around the town offers an opportunity to buy small villas and Trulli, often in their own olive grove. These simple countryside homes make perfect summer getaways and are very affordable. As the Puglia region boasts 500 miles of coastline there are plenty of natural beaches to discover. As a popular tourist town with a year-round expat community you should have no problem finding someone to keep an eye on your home while you are away and could even rent it out to tourists. Summers are hot and long and having mild winters, it is also perfect for winter breaks. Holiday home prices: One-bedroom apartments from €60,000. Detached 1 bedroom countryside villas from €59,000, 2 bedrooms from €98,000. 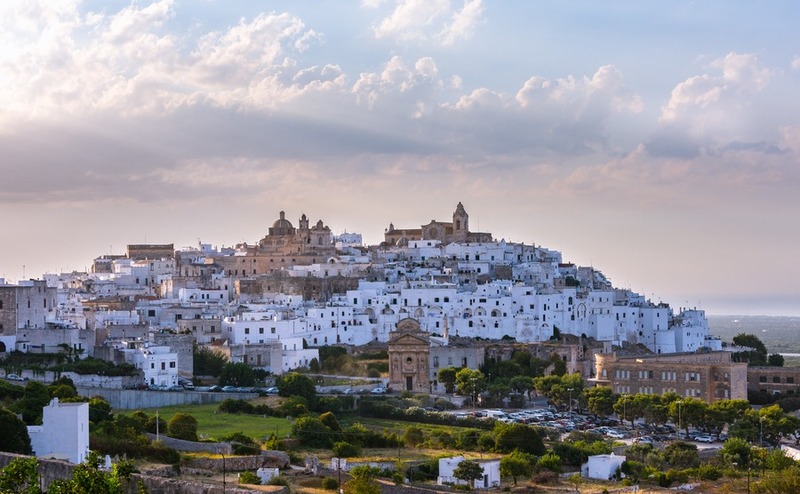 Getting here: Nearest airports: Brindisi (35 minutes by car) Bari (1 hr 20 mins) Train from Brindisi to Ostuni takes 22 minutes, with short bus connections from airport to Brindisi centre and from Ostuni station into town. Ryanair and easyJet fly to both airports. 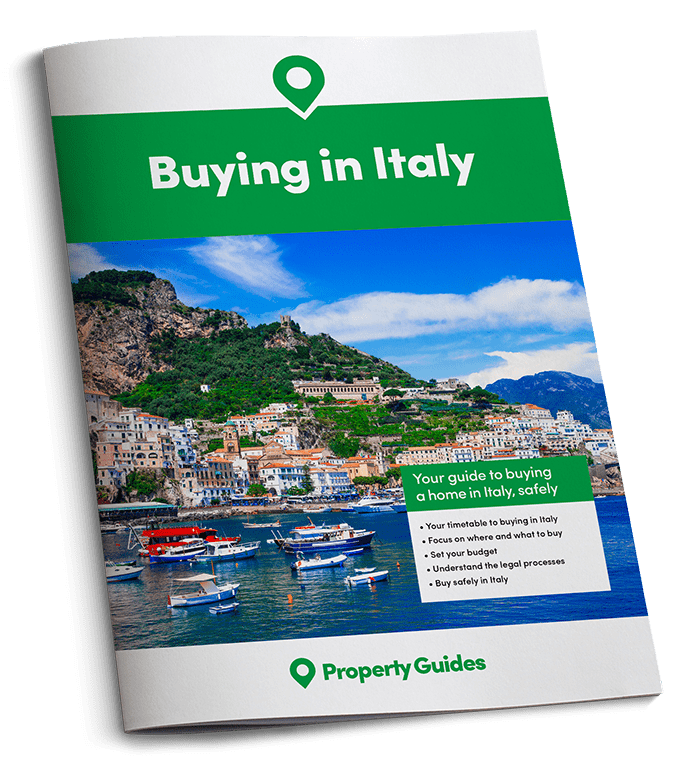 Knowing how to negotiate for your Italian property might just mean you can afford that property with a lake view after all! Read our free guide: How to Negotiate Abroad. West of Turin is a network of ski resorts known as the “Milky Way”, offering a great variety of slopes and valleys, over a relatively small area. This means you don’t necessarily need to buy a property in a large famous resort in order to have access to superb, diverse slopes. In the Province of Turin (Torino), you can look forward to 614 kilometres of slopes and the ski resorts are served by 122 ski lifts. 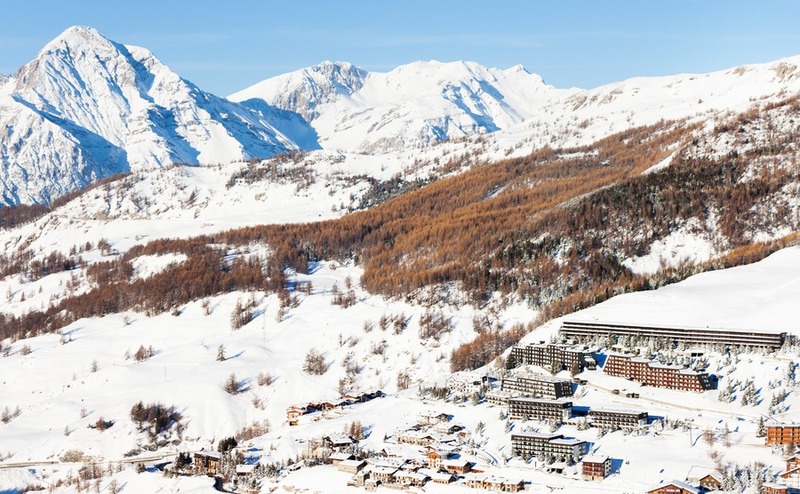 The most well-equipped ski resorts include Sestriere and Sauze d’Oulx, which are popular with foreigners. If you are looking for rental income, these resorts offer the most regular returns, as foreigners are more inclined to book further in advance and for longer stays. Two-bedroom ski apartments close to the lifts or a ski bus are most popular. The 2006 Olympics were held in Turin and looking to the future Turin and Milan are exploring a potential bid for the 2026 Winter Olympic Games, which will undoubtedly create even greater interest in the area. Holiday home prices: two-bed apartments from €169,000, detached houses from €300,000. Getting here: Sauze d’Oulx is one of the easiest ski resorts to get to in the Alps. The motorway linking Turin with Lyon runs along the valley floor below Sauze. It takes less than 1hr15mins to drive from Turin airport. Airlines that operate a regular service from the UK are British Airways, easyJet, Ryanair and Blue Air. There is also a train station in Oulx. Tuscany continues to be the most popular region to buy a holiday home, with it’s laid back atmosphere, historic sites, medieval villages, rolling hills and vineyards. 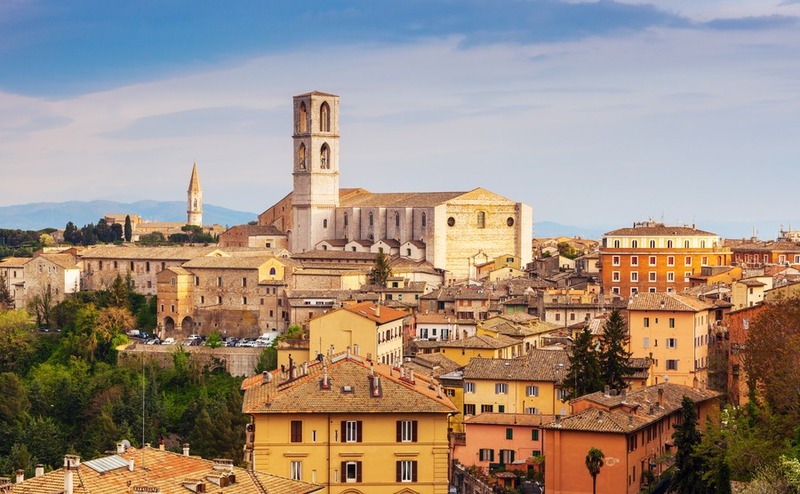 As Pisa is the most popular Tuscan airport to fly to from the UK the area around Lucca has become a very convenient location to have a holiday home. Located just north of Pisa, the city of Lucca has a charming historic centre surrounded by large town walls. This 2.5 mile city wall is of great importance to the people of the city, who spend their leisure time strolling, doing sport and socialising in the shade of its ancient trees. Piazza dell’Anfiteatro, is where the ancient Roman Forum once stood and is a jewel in Lucca’s crown. Home to cosy restaurants and the workshops of painters and artists, apartments in surrounding streets are a convenient stroll away. Tuscany continues to be the most popular region to buy a holiday home. 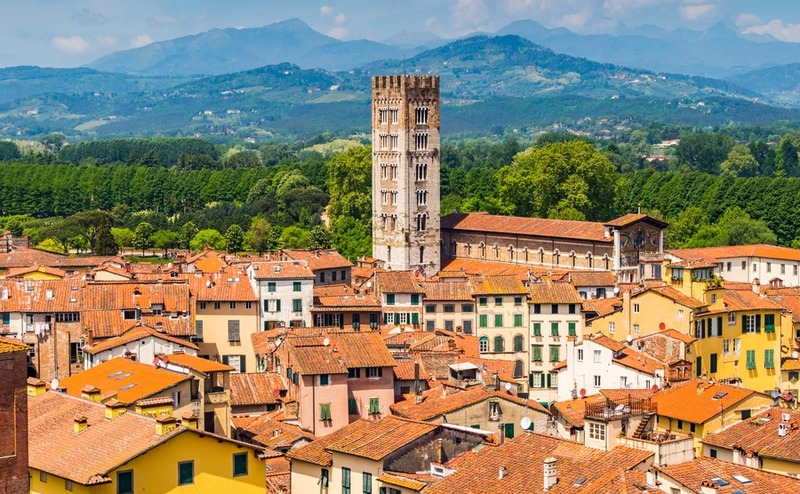 Lucca was the birthplace of the world-famous opera composer, Giacomo Puccini, and music still plays a big part in the town, especially during the music festival in July. For a holiday home location out of town head to Garfagnana, Lunigiana or Bagni di Luca, where you’ll find green valleys, mountains and plenty of outdoor activities to enjoy. Holiday home prices: three-bedroom apartments from €240,000, detached countryside houses from €245,000. Getting here: Pisa Galileo Galilei International Airport has an adjoining railway station and is only 20 minutes’ train ride from Lucca city. 35 minutes by car. Ryanair, Easyjet and BA fly into Pisa. A holiday home in Venice is something truly unique. Where else can you step out of your door and straight into a boat on a canal. More than a hundred islands form the city, grouped together in districts, with tiny canals, alleyways and bridges linking them tightly together. Having a holiday home here will allow you to enjoy the sights at the quietest times of day. Venice at Sunrise and sunset is just magical. 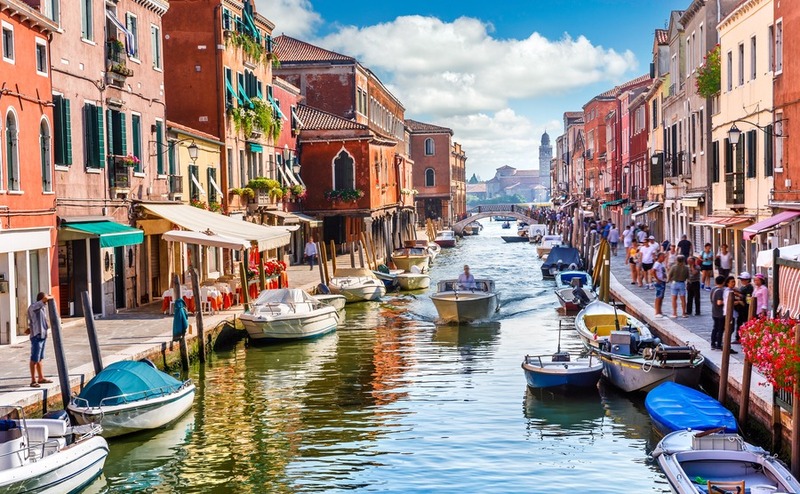 As well as gazing at St Mark’s Square, the Doges Palace, the Basilica and the Rialto bridge, there are so many other areas to discover, where you can join the locals for a coffee at a waterside café or buy fresh fish from the market. There are many museums and art galleries to explore and plenty of beautiful restaurants for romantic meals. Property in the best locations can be very pricey, but rental returns are good and the rental season lasts 30-40 weeks a year. Holiday home prices: One-bedroom apartments from €190,000, three-bedroom canal front houses from €535,000. Getting here: BA and easyJet fly to Venice Marco Polo airport. From Marco Polo Airport the cheapest transport option into Venice is the public water ferries (40-80 minutes). Water taxis are more expensive but take about 30 minutes. Treviso airport is further away and takes about 70 minutes on the bus into Piazzale Roma. Ryanair fly to Treviso. Why not split the cost and double the fun of holiday home-ownership in Italy by buying with family members? Read our new guide, Buying Abroad with Family. We’ve written about one euro Sicilian homes, and it’s certainly one of the most affordable parts of Italy. Yet Sicily is not only one of Italy’s best beach destinations it also has some very pretty towns and impressive historical sites. 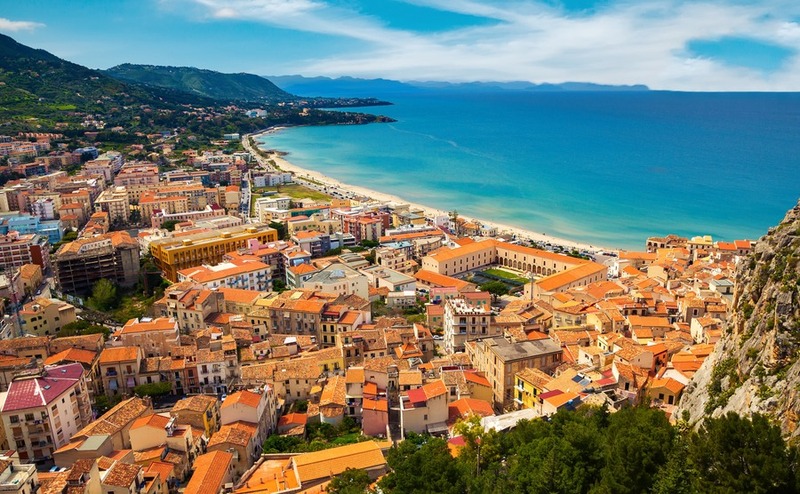 Cefalu is a charming town with a hive of medieval streets, a mosaic-adorned cathedral and some fine sandy beaches. The seafront promenade is popular for the passeggiata (evening stroll) and if you walk down to the port in the morning you will see fishermen maintaining their boats, mending their nets and selling the day’s catch. The town caters for all the needs of the summer tourist with many fish restaurants, cafes and souvenir shops selling local handicrafts. Buy an apartment in the heart of the historic centre, to enjoy the busy holiday atmosphere or look along the coast and up into the hills for beautiful villas with elevated sea views. Holiday home prices: One-bedroom apartments from 180,000, three-bedroom villa on the outskirts from €290,000. Getting here: Ryanair, easyJet and BA fly to Palermo. Driving time from Palermo airport to Cefalu is under 1 hour 30 mins. Regular buses run from Palermo airport into Palermo central train station (1 hour). Train to Cefalu (1 hour) Palermo to Cefalu by bus (1 hour). Sicily is not only one of Italy’s best beach destinations it also has some very pretty towns and impressive historical sites. Town houses in pretty hill top villages and farmhouses surrounded by beautiful countryside make for very relaxing holidays. The holiday homes available around the Perugia province are full of character stone features and the area is authentic Italian. It’s even possible to buy apartments within large country houses with communal pools and gardens. Being close to Tuscany and on a train line between Florence and Rome this part of Umbria is becoming increasingly popular and yet property prices are still very reasonable. Until Ed Sheeran bought a home here many people hadn’t heard of the area around Lake Trasimeno. Around the lake you can find beaches, swimming pools, tennis courts and even a golf course. Holiday home prices: One-bedroom apartments from €45,000, detached houses from €42,000. Getting here: Ryanair fly to Umbria International Airport. From the airport it is less than 25 minutes by shuttle bus into central Perugia, 20 minutes by car. Perugia is also on the Rome to Florence train line. The Liguria region is most famous for the pretty coastal villages of The Cinque Terre. This beautiful area can be out of the price range of most holiday home buyers, but along the coast a little in the province of Savona there are more affordable apartments in holiday complexes with shared pools. The coastline offers expansive sandy beaches, rocky promontories and seaside towns. As well as Savona and Albenga other towns include Alassio with its sandy beaches; Loano and its artistic fountains; Pietra Ligure with its monumental square; Finale Ligure and its palm-lined seafront; Varigotti with its historic centre of colourful houses right on the waterfront; and Spotorno which boasts a modern marina. Eight further towns have been listed among the most beautiful in Italy. There are plenty of sports opportunities available including scuba diving, surfing, sailing, walking, horse riding and mountain biking. Holiday home prices: One-bedroom apartments from €191,000. Detached houses from €450,000 near the coast, considerably cheaper inland. Getting here: Ryanair and British airways fly to Genoa Airport in just over 2 hours. From here it is less than 45 minutes by car and 1 hr 20 minutes by train to Savona. 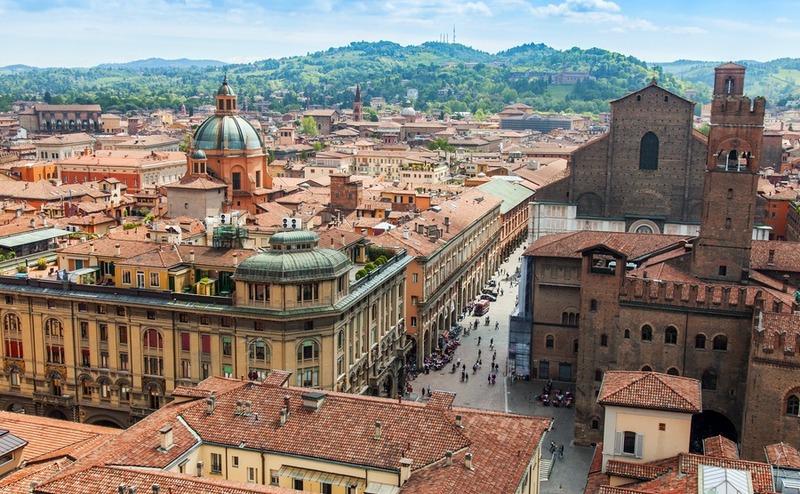 Bologna has not yet been discovered by many holiday homebuyers, but is certainly tipped to become an up and coming area. The travel guide Lonely Planets named the region of Emilia-Romagna as the top place to visit in Europe in 2018, with one of the main attractions of the area being the food. Try the amazing Ragù in Bologna; prosciutto in Parma; balsamic vinegar in Modena and the regions famous parmigiano reggiano (Parmesan cheese). There is even the world’s largest culinary theme park in Bologna FICO Eataly World. Ryanair obviously have a lot of faith in the areas growing popularity as they now run flights to Bologna from Stansted, Bristol, Edinburgh and Manchester and Summer flights to the beach resort of Rimini. As Florence is less than a 2-hour drive south from Bologna, the area between the two may be a good place to look for a holiday home. From Bologna you can also reach the coast at Rimini in less than an hour and a half. Holiday home prices: One-bedroom apartments in Bologna from €220,000, but less than €100,000 in nearby villages. Detached two-bedroom houses in Emilia-Romagna countryside from €140,000. Getting here: Guglielmo Marconi International Airport is a 20 minute bus ride from Bologna train station. Many flight options from the UK with Ryanair, easyJet and British airways.